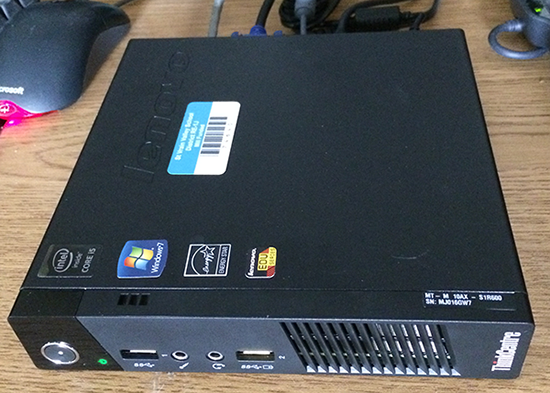 The Lenovo ThinkCenter Tiny Desktop computer is a model being purchased by the district. These computers are usually mounted to the back of a display, so to make it easier to power them on, Lenovo has added a keyboard command to power on the computer if it is turned off. 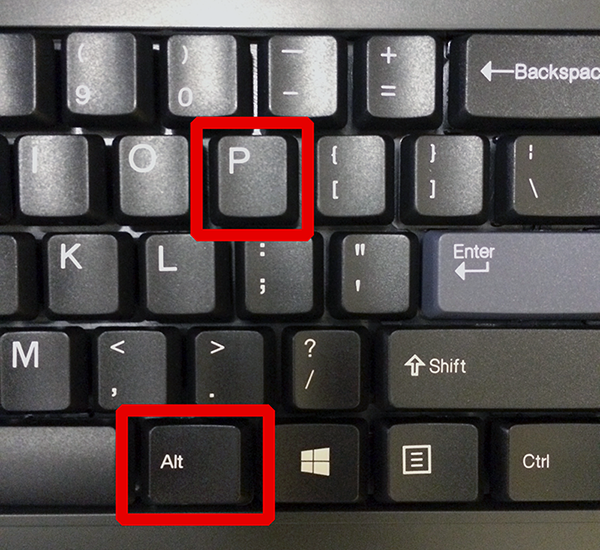 To use this feature, just press and hold the ALT key and tap P, then release both. When shutting down a computer, proceed as you normally would through the Start menu. 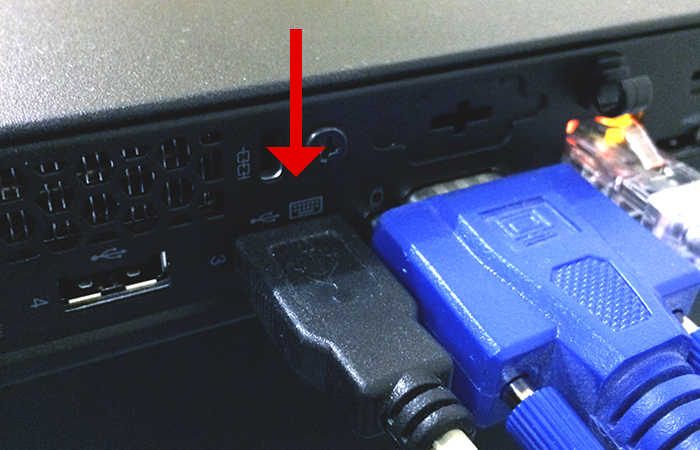 If you press ALT-P and the computer does not power on, first check the back of the computer to make sure that the keyboard is plugged into the special USB port that enables this feature. 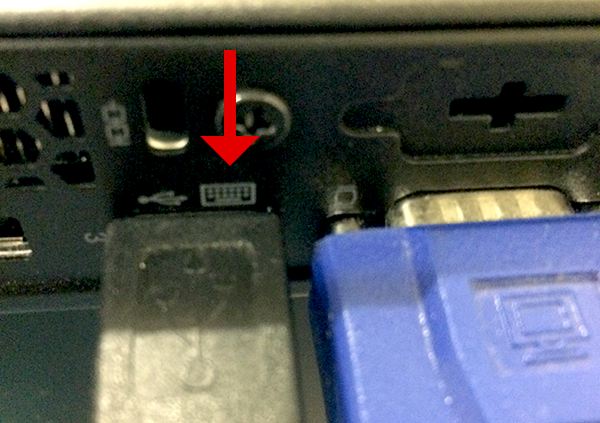 It’s labeled with a keyboard icon, as pictured below. If the computer still does not power on, first verify that it can power on from the round power button on the front of the computer, and submit a work request to DTS if you have problems.